It is time for the parallel release of economic range of smartphones from Xiaomi family again through flipkart. Xiaomi is releasing through Mistore in india through Flipkart. Xiaomi Redmi Note and Redmi 1s is being released in Late september, this year. It would be great launches for this rivalry smartphones, which is affecting the total business of smartphones giants in India. After business deal tie up with large smartphone manufacturers like “Xiaomi”, by flipkart, the complete history of buying a smartphone from the market has totally changed. It is anticipated that release of economic range of smartphones by Xiaomi: Xiaomi Redmi Note and Redmi 1s, would change the business of low end economic smartphones in the market. The first Company, which will get affected is “Samsung”. Samsung is famous for its continuos relaease of low end Smartphone series. 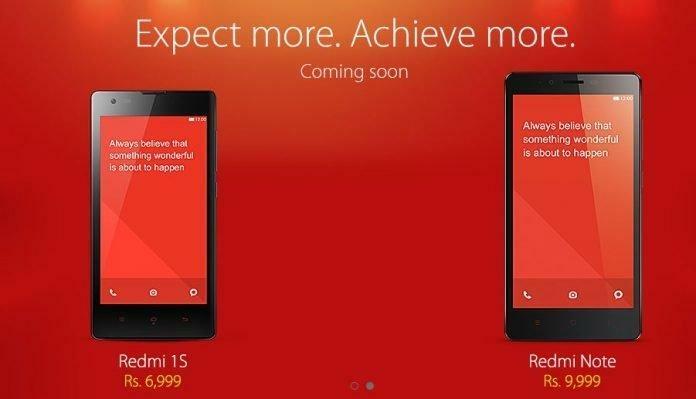 If Xiaomi finalises the date of release of both Xiaomi Redmi Note and Redmi 1s, this will affect the samsung market in india very drastically. It was conformed from “MiStore” and “Flipkart”, that the price of Xiaomi Redmi Note is Rs. 9,999 and Price of Xiaomi Redmi 1s is Rs. 6999 only. Xiaomi Redmi Note, which is costing about Rs. 9,999 in India, comes with MTK6592 Octa-core 1.7Ghz 2GB RAM 8GB ROM 5.5 Inch IPS OGS Screen13MP Rear camera and 1080p Video recording. Top 10 features of both the smartphones, Xiaomi Redmi Note and Xiaomi Redmi 1s is coming soon on Igadgetsworld.com.